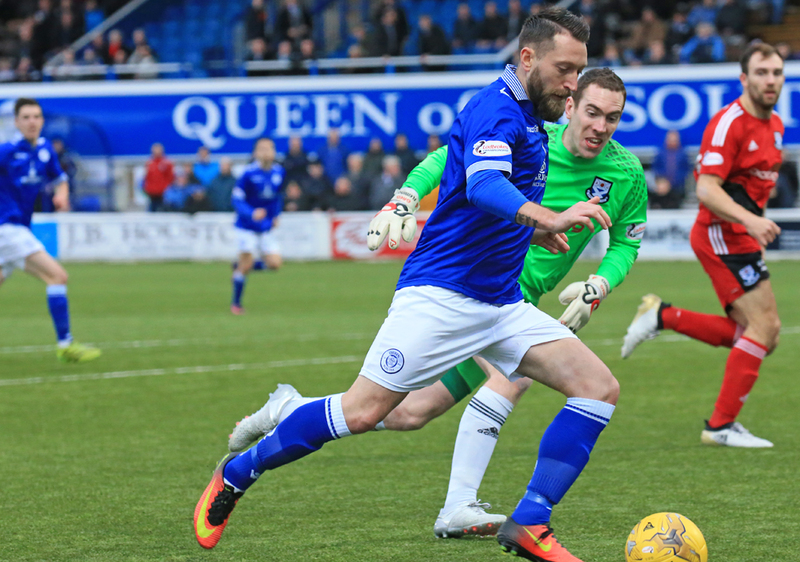 Queens run of league games without victory stretched to Thirteen after they shared the points in today`s scoreless encounter with Ayr United at Palmerston. The last game for Queens in 2016 was certainly no classic as the match - affected by a swirling wind - showed clearly why both teams are currently going through such long sequences without league victories, although to be fair to Queens, their second half performance and chances created should have been enough to see them gain all three points. Following last weekend`s defeat at Morton, Gary Naysmith made two changes to the eleven that started at Cappielow as Danny Carmichael and Owen Bell came in for Grant Anderson, and Chris Higgins. It was a first start for young Owen Bell following on from his full Queens debut last time out, and he linked up in central midfield alongside Kyle Jacobs as Queens lined up in their preferred 4-4-2 formation. The opening exchanges were scrappy and the only bright moment of the opening first 15 minutes came when Derek Lyle and Stephen Dobbie combined well to create an opening for Dobbie, but the Championship`s leading scorer saw his shot pushed aside by Ayr `keeper, Fleming. The home side were having the bulk of the possession but far too often the final ball was either over hit, or misplaced, and consequently there was very little in the way of goalmouth action. The away side had rarely threatened in the early stages, but from nowhere on 18 minutes they went very close to netting the opening goal twice in quick succession. Firstly it took an excellent one-handed diving save from Lee Robinson to keep out a decent effort from Forrest which resulted in a corner, and from the set piece that followed Meggatt rose well to head the ball goalwards but a combination of Robinson`s finger tips and the crossbar kept his effort out, and when the ball broke to Cairney his shot was well off target. Although Queens had been slightly the better team possession wise, they only had Dobbie`s early shot to show for their efforts whereas the visitors seemed to have adapted better to the windy conditions and attempted to try and play more controlled football, and just past the half an hour mark they found themselves with a decent opportunity to take the lead.Following a quick break down their left channel the ball was eventually played through midfield and a clumsy challenge by Darren Brownlie just outside the box conceded a free-kick. The central position looked to be perfectly set up for Harkins, and although his shot along the ground crept past the Queens wall, it also crept past the far upright and away to safety as far as Queens were concerned. The wind was obviously making things difficult for both teams and there was concern for Lee Robinson when a challenge just inside the Queens half saw the ball rebound off of a Queens player and go all the way through to the penalty area taking one bounce before clearing the bar. Minutes before the interval Queens had their best chance of the half. The ball was worked down the right and when Jamie Hamill`s low driven cross evaded the onrushing pair of both Lyle and Mark Millar, the ball fell perfectly for Dobbie but almost unbelievably, the striker dragged his shot wide of the far post much to the frustration of the home support in the Hogmanay crowd of 1594. That was easily the best opportunity of the half for Queens and if you could have picked a player and a position it would have been Dobbie and 10 yards from goal, but unfortunately today was not to be his day. Both sides continued unchanged for the start of the second period, and whether or not it was down to what was said at the break, or the fact that Queens were attacking their `favourite` end, there was certainly a bright and positive opening to the half for Queens and in the opening seconds they really should have made the breakthrough. A quick attack down the left eventually saw Danny Carmichael deliver a deep cross to the back post that took out the entire Ayr defence, and when the ball fell to the unmarked Millar, he couldn`t decide whether to go with his head or try a shot and in the end he did neither and lost control and the chance was gone. As the hosts continued in the ascendancy another really good chance came their way when a mistake in the visitors defence let in Dobbie, but after going around the `keeper his shot from an always worsening angle crashed into the side netting much to Dobbie`s frustration.It really was all Queens at this point and the opening goal seemed to be on the cards and a header from Lyle from Millar`s corner was the next chance that the hosts created but failed to convert. The next attack saw Dobbie and Lyle link up again and this time Dobbie`s chipped pass into Lyle was chested into the path of Carmichael, but the winger`s shot lacked power and was easily gathered in by `keeper Fleming. Queens were doing everything but score, and with Robinson being a virtual spectator at this stage as the visitors struggled to get anywhere near his goal, the home side continued to search for the opener. Jordan Marshall did well to earn his side another corner, and from the resulting set-piece from Millar, `keeper Fleming was nowhere near the ball as it escaped everybody and flew out of play. The breakthrough still did not materialise but it wasn`t for the lack of trying as Queens put behind them what was a largely disappointing first half to continue to create more chances to score the all important opening goal. 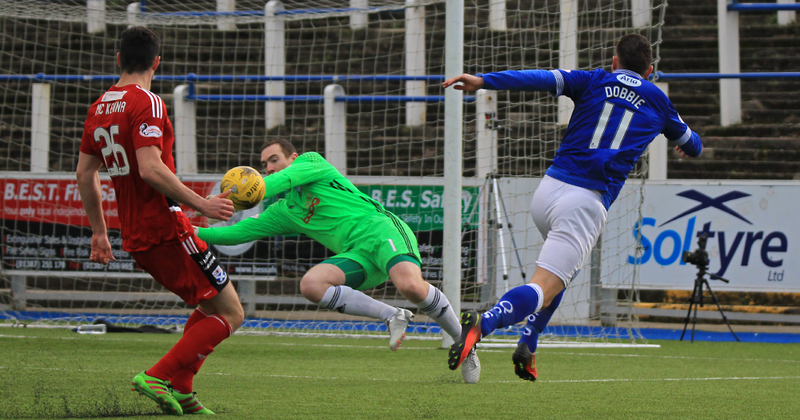 If a goal was to come it always looked likely that Stephen Dobbie would be involved and just past the hour it would have done had it not been for a superb save from Fleming. Mark Millar`s long ball from the back was perfect for Dobbie and after taking a touch to control the ball he chose to shoot early but Fleming was equal to his effort and produced a super one-handed save to deny the Queens talisman. Darren Brownlie got on the end of another Millar corner, but he could only succeed in guiding his close range header over the bar. Queens made their first change on 71 minutes when Bell was replaced by Owen Moxon. It was difficult to judge Bell`s performance as for a lot of the game the ball spent a great deal of time in the air meaning that little was seen of any of the midfield players, but the 17 year old showed some good touches and it is always encouraging when a local youngster makes his way into the Queens first team. The second change for Queens saw Ross Ferguson replace Millar with Dobbie dropping back into the right midfield slot. 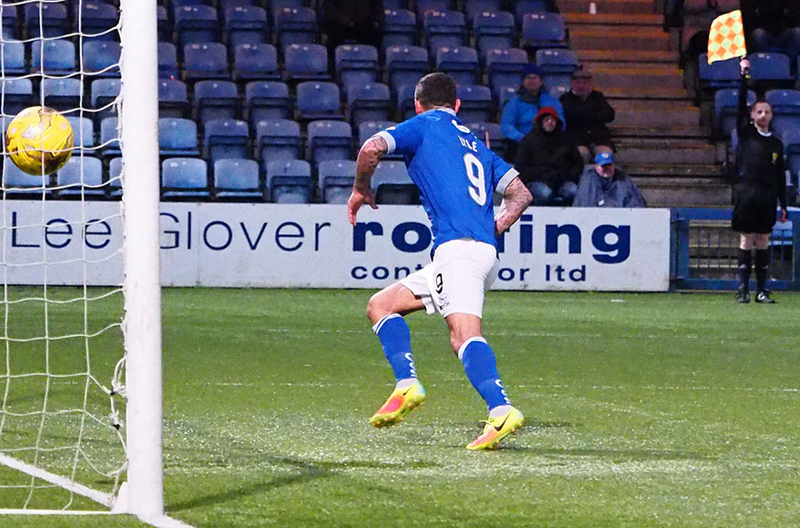 Stephen Dobbie was clattered by Harkins right on the edge of the box, but from a difficult angle Jordan Marshall saw his attempt finish well wide of Fleming`s goal. Dobbie hobbled on for a few minutes before finally falling to his injury and Grant Anderson replaced him for the final 5 minutes. With the game moving into it`s final minutes most of Palmerston thought that the winless run was over when Lyle fastened onto a through ball and slipped the ball past Fleming, but unfortunately he had moved a fraction too quickly and he was given offside - it looked to be a very tight call from my view. 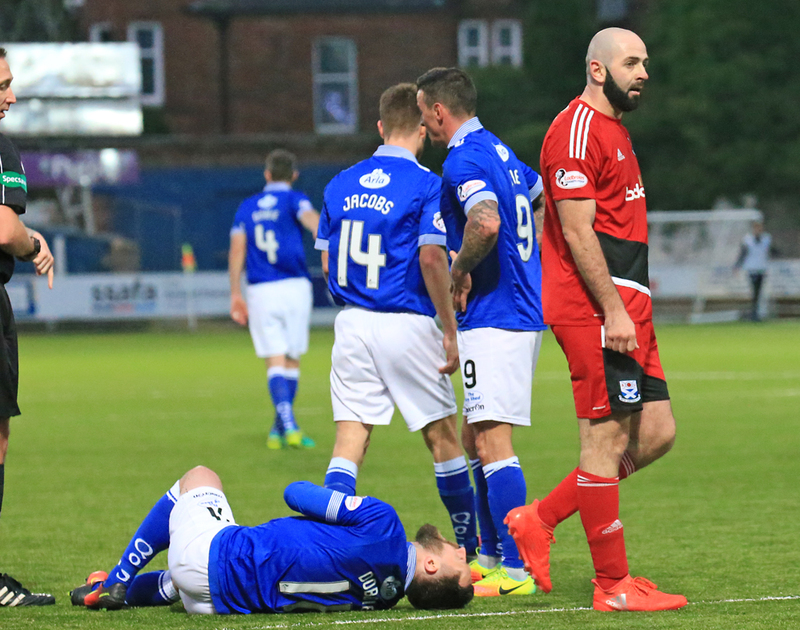 The final chance of the game went the way of the visitors but McGuffie`s curling free-kick caused no problems for Lee Robinson. Sponsors man of the match award went to Jordan Marshall as Queens ended the calendar year with a first clean sheet in the league for 11 games. Hopefully the new year will bring a turnaround in Queens fortunes and the team can get back to winning ways as soon as possible starting with the first game of 2017 at St Mirren next time out. 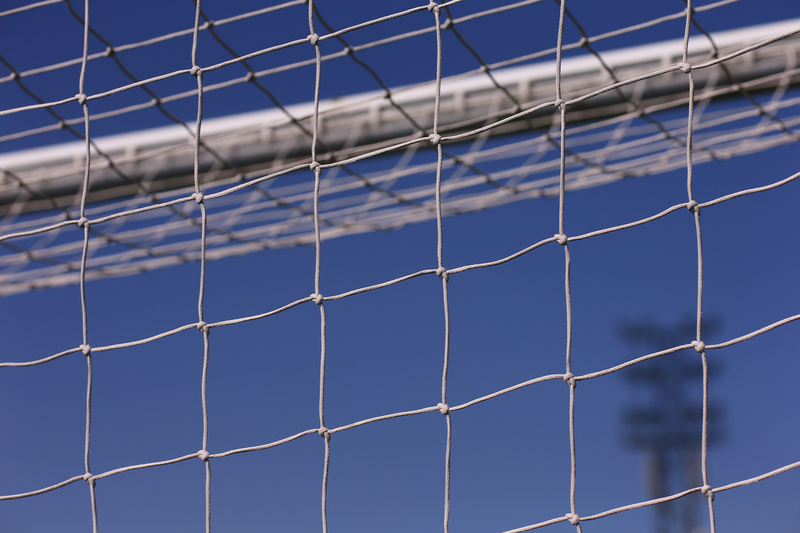 13:42 Today`s referee is Steven Kirkland. Assistants are David Roome and Mark McHendry. 7 min Lyle and Dobbie link up well and push forward but Dobbie`s shot from ten yards is saved by Fleming. 15 min 15 played here and it`s a fairly even contest so far. Only chance has been Dobbie`s effort which was well saved by Fleming. 20 min Cairney plays the ball forward to Forrest and his shot from the left is palmed away by Robinson. 20 min Ayr whip in a corner and Meggatt is quickest to react but Robinson denies the defender. 23 min Boyle fouls Carmichael on the half way line. 30 min Ayr knock the ball forward and win a free-kick in a dangerous position from Brownlie`s foul. 31 min Harkins` free-kick glances wide of the post. The visitors shading the first half an hour here. 40 min Hamill drives in a low delivery from the right, misses Lyle and Millar, but Dobbie`s shot drifts wide of Fleming`s post. 46 min Bright start to the second period from Queens. Millar and Dobbie both having chances. Still 0-0. 48 min A mistake in the Ayr defence lets Dobbie in, he rounds Fleming but from an awkward angle hits the side netting. 52 min A Hamill cross is headed out for a corner by Boyle. Millar`s set-piece finds Lyle but is saved by Fleming. 55 min Carmichael`s lame effort is easily saved by Fleming. 60 min Another Queens corner after Marshall`s delivery is knocked out. Fleming misjudges Millar`s corner but Queens can`t pounce. Still 0-0. 61 min Lyle puts the ball in the back of the net but it`s been flagged offside. 0-0 still. 62 min Fleming pulls off a tremendous one handed save to deny Dobbie. The ball falls to Dobbs again but his shot is deflected out. 71 min Brownlie heads over a Millar corner kick. 80 min Harkins brings down Dobbie just outside the penalty box. 82 min Marshall takes the free-kick goes miles wide. 85 min Dobbie, who is still struggling from Harkins` challenge, is replaced by Grant Anderson. 88 min Lyle puts the ball in the back of the net but again the linesman has his flag up. Still 0-0 here. 90+1 min McGuffie`s curling free-kick goes all the way through and glances past the post. Near enough full time here. 15:50 Queens end 2016 with a goalless draw against Ayr United.